Yet again delayed by a power-outage. Let's hope they don't become a weekly event. and finally getting the knitting part of the new pattern done. 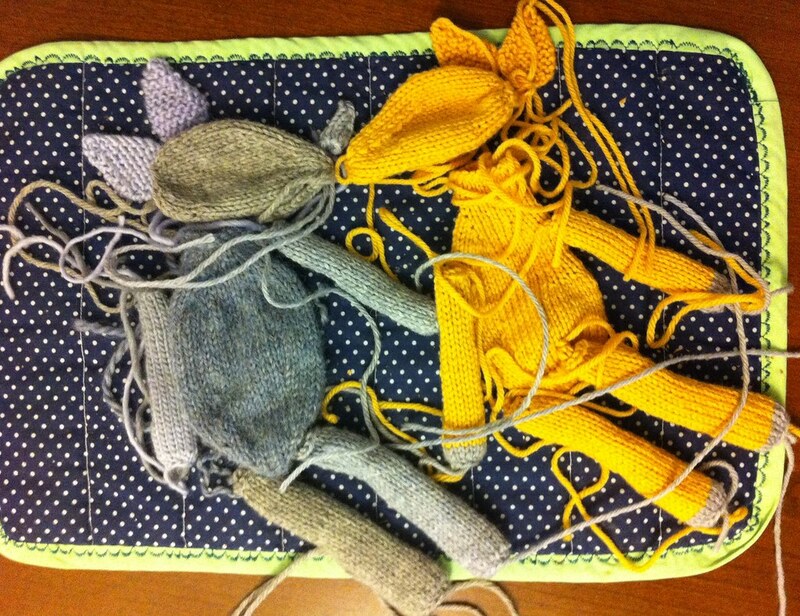 Now I just need that oatmeal face to take an extra-long nap so I can put these toys together! In other news, we've finally (finally!) updated the Well-Dressed Bunny pattern. You get the newer version of the toy from Fuzzy Knits, plus redesigned outfits, and the new formatting styles. If you bought it on Ravelry, you've already been sent a new download link. If you bought it elsewhere, just email one of us a receipt so we can send you a copy. Posted by Barbara Prime at 8:43 a.m. I love your blog, and your beautiful little one. All of your posts put a smile on my face! September 5, 2011 at 9:46 a.m.
What a face. 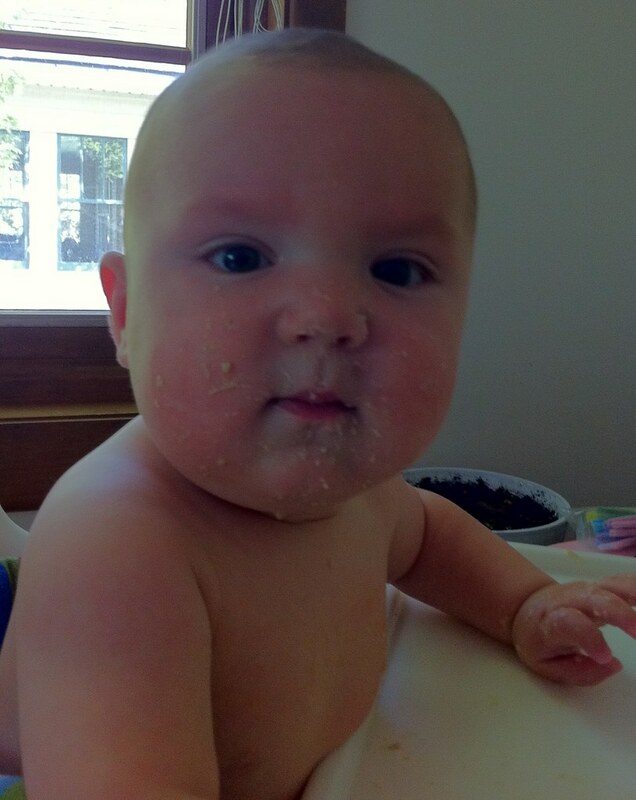 I've been feeding one a lot like it today - my youngest grandkid - here for my youngest son's wedding. September 5, 2011 at 10:27 p.m.